The event was hosted by Billy Porter. The Emmy Awards are upon us, and there's much to celebrate in the current diverse landscape of television. That was the theme at this weekend's Diversity x Design, an Emmy season cocktail party held at Bolon and Louis Poulsen showrooms at Helms Design Center in Culver City, California. 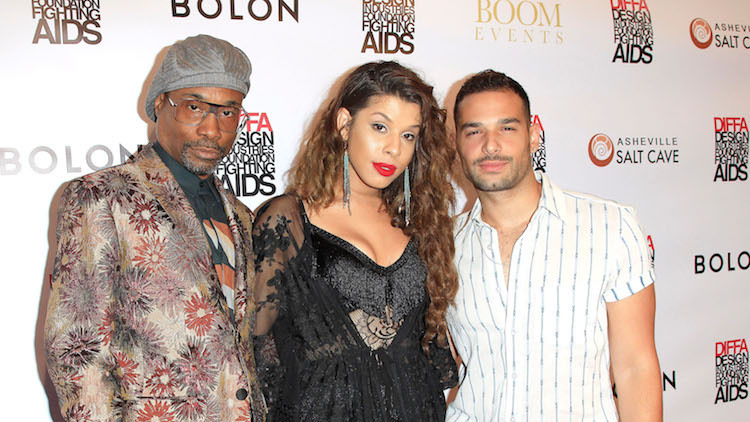 Hosted by Pose star, Billy Porter, the event celebrated diversity, inclusion, and representation on television. The evening benefitted DIFFA: Design Industries Foundation Fighting AIDS, a national non-profit that raises awareness and grants funds to organizations that provide treatment, direct care services, preventive education programs, and advocacy for individuals impacted by HIV/AIDS. In attendance were Porter's Pose castmates Hailie Sahar and Johnny Sibily, as well as Jeffrey Bowyer-Chapman, Isis King, and Trace Lysette. "We've come to a point to understand that we as citizens have to come together, and we have to pool our resources and save the world ourselves," Porter said. "We can't depend on others to do so. And these benefits speak to that. They speak to something specific, something that you can believe in and come to and support, lend a hand, give some money, and make sure that folks are taken care of. So, it's important that we keep doing this kind of work." To learn more or make a donation, visit DIFFA.